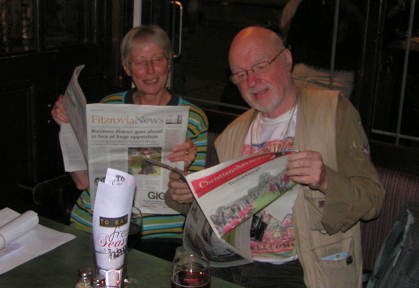 Margit Andersen (left) and Mike Pentelow swap community newspapers. 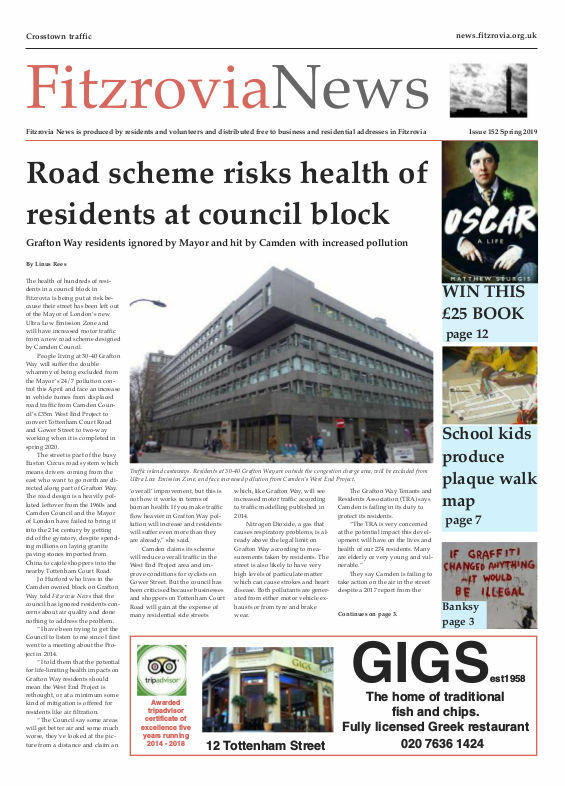 Fitzrovia News has a number of Danish readers. One of them, Margit Andersen (pictured) and her partner John Poulsen, first came across our paper in 2011 on a visit to the area, and have been following it online ever since. In September 2012 they returned for a holiday and picked up the paper from the Fitzrovia Neighbourhood Centre, then arranged to meet editor Mike Pentelow in a nearby pub. They told him that they helped bring out a community paper of their own in the Christianshavn area of Copenhagen. Christianshavneren has a free circulation of 7,000, eight times a year, and has been going since 1983. Fitzrovia News also has a contributor living in Denmark. Sam Lomberg has written a number of articles about life in Charlotte Street in the 1920s and 1930s.